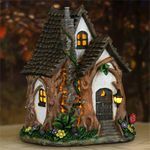 Where do all the adorable and whimsical little magical fairies and miniature gnome retire to at night after a long day of playing and frolicking in your garden? 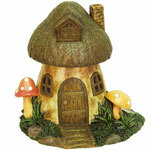 In a wonderful miniature Solar Fairy House or Cottage of course! 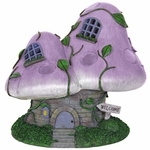 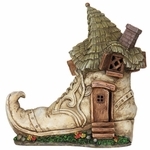 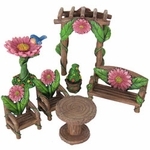 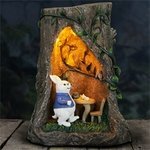 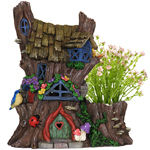 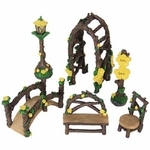 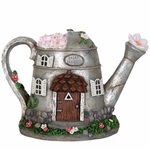 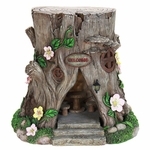 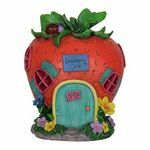 Whether you are creating a new miniature fairy garden, or magical gnome garden, or simply looking to enhance the storybook mystique to your garden flowers and backyard landscape, you’ll enjoy our large collection of Solar Fairytale Houses! 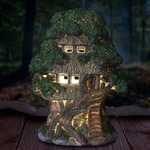 Most of them are Solar Powered too and at night it really looking like someone is living inside with little windows and doors having lights turned on. 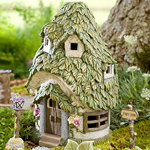 Even if you don’t have a miniature fairy garden, Solar Cottages are fun to have in the yard. 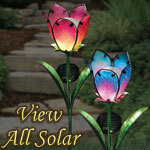 Just imagine, everything is dark and quiet around your plant in the evening, and then you notice a little solar abode nestled between a couple plants – youthful and fun! 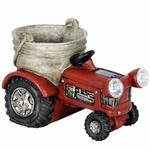 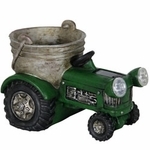 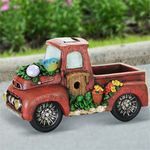 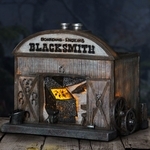 Get ready to spark up the imagination with one of our most adorable garden accents that we carry! 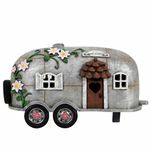 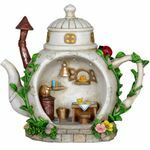 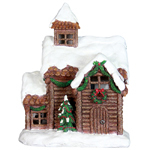 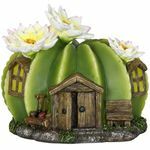 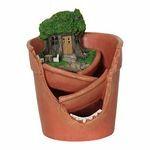 Our Solar Fairy Houses and Cottages all provide tons of whimsical and delicate detail and unlike many other items we carry, these Solar Houses are all intended to offer your friends and visitors a serious garden surprise! 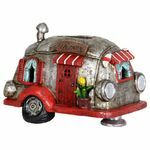 Unlike a huge garden frog sitting by the front door trying to get a laugh, or a large wind spinner spinning in the wind trying to grab your attention, Solar Houses are the type of decor that are meant to sneak up on you with surprise. 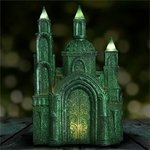 You find a nice quiet discreet spot that people may pass, and there is rests like a gem awaiting to be discovered. 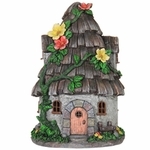 Normally it someone simply wandering the yard and smelling the flowers, and just when they’ve thought they had smelled the last rose and see the last of the tulips, they notice by surprise a delightful little resin cottage in your yard. 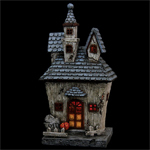 And now with most of our mini-garden houses being solar they are even more spectacular. 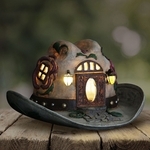 Just like words on a sign that demand to be read, or faces on a sculpture the demand to be viewed, solar homes spark a similar interest within that ignite your imagination! 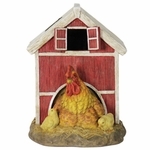 What is that doing there? 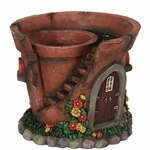 How long has it been there? 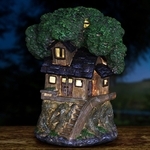 And soon… the Who lives there and what other kinds of fascinating things are going on in that little home. 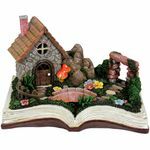 Stories of little people, and miniature fairies, and trolls and gnomes spring forward with youthful delight. 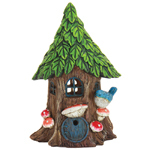 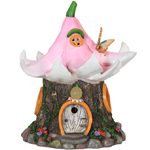 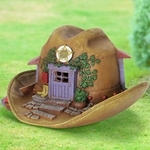 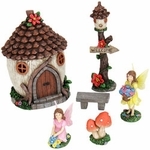 GardenFun carries quite a large selection of these Solar Fairy Homes on our site. 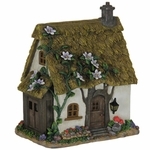 We have little houses with straw roofs, and leaf roofs, and moss roofs, and even snow covered roofs! 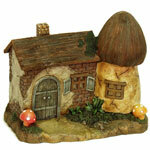 We have solar homes in the shapes of miniature houses and barns, fanciful castles and traditional mushrooms. 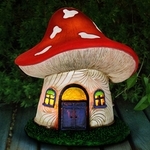 We even have a couple that look like delicious cupcakes! 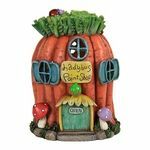 Vegetarians and Vegans will love to find our Solar Vegetable houses growing among their vegetable gardens too. 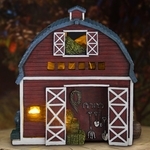 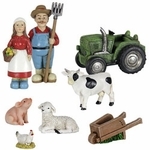 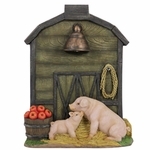 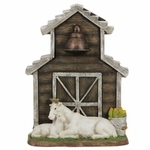 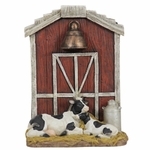 We also carry miniature solar tree houses, and solar barns with cute cows and pigs. 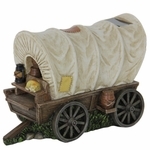 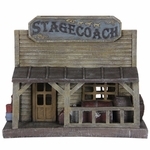 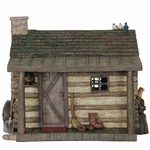 We have some unique specialty solar houses like log cabins, teepee statues and cowboy hats! 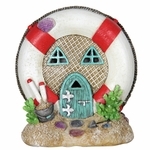 For the Nautical fans we even have a ship rudder, a life saver, and a couple of solar lighthouses homes for the yard. 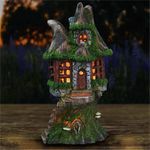 Our favorite part about Solar Fairy Houses is that they come as a surprise, and not only spark the imagination, but they reward your garden visitors for taking the time to wander and relax in your garden. 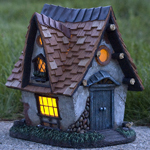 Once you notice a single solar cottage in the yard, you never know what else you might find, possibly a few more, or something else magical!